Welcome to this very special, wonderfully picturesque region of Oxfordshire, nestled within the Cotswolds. Defined by its rolling hills, or ‘wolds’, this glorious region runs through five counties – Gloucestershire, Oxfordshire, Warwickshire, Wiltshire and Worcestershire – and offers a host of activities and attractions. In all seasons, too! Explore quintessential villages of honey-coloured stone; take in splendid market towns; visit some of the country’s greatest palaces and country houses; marvel at the natural world at the acclaimed Cotswold Wildlife Park; walk through breath-taking landscapes along historic trails. If it’s a trip of exploring you are looking for then head out to some of the local villages. Each one unique but equally as charming, definitely worth the visit. Each Town and Village is packed full of history and fascinating facts, there are plenty of antique and independent shops which will keep you amused for hours. Stow-on-the-Wold - Stow-on-the-Wold is a delightful market town and along with Moreton in Marsh, perhaps the best known of the small Cotswolds towns. Stow-on the-Wold is the highest of the Cotswold towns standing exposed on 800 feet high Stow Hill at a junction of seven major roads, including the Roman Fosse Way. Burford - Still wonderfully unspoilt, the town of today seems to leave its mark on anyone who has lived in or visited it. A Mayor and Town Council have replaced the original Burgesses and Aldermen. There are still a large number of pubs, restaurants and hotels catering for all tastes among residents and visitors. The shops provide a good selection of produce, clothing, and period furniture; and includes the oldest chemist shop in the country. High Street chains have yet to make a significant impression on Burford, which adds to its uniqueness and helps make it an enduring place to live, work and visit. Bourton-on-the-Water - Regularly voted one of the prettiest villages in England, Bourton-on-the-Water has a unique appeal to visitors and residents alike, there is plenty to see and do with a wealth of attractions and shops, restaurants and tea rooms, or simply for you to enjoy some tranquil time by the River Windrush with its beautiful bridges throughout. Bibury - Bibury is a charming, typically Cotswold, village just a short drive from "The Capital of the Cotswolds", Cirencester. Bibury was once described by William Morris as "the most beautiful village in England". In fact, many say that Bibury is one of the world's most picturesque villages, the cottages of Arlington Row are often referred to as the most photographed and beautiful cottages in the country. Woodstock - The town has an active local business community and makes provision for the everyday needs of visitors and residents alike: Post Office, bank, supermarket, newsagent, cafés, restaurants, galleries and a wide range of shops are all situated in the town centre. The local people are always willing to assist visitors with honesty and a smile. Woodstock is a safe place to be. Walking around at any time of day or night will allow you to enjoy the experience of being in a typical old English town. It is almost impossible to visit the Old Swan & Minster Mill and to not enjoy the history around us. The village of Old Minster is full of character and you can find all the interesting facts in the book of ‘Old Minster’ (please ask Reception if you would like a copy). 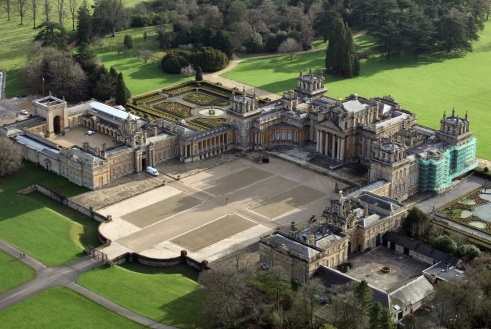 Locally you can enjoy Blenheim Palace, Reception are able to pre book tickets for the Palace and Gardens, or simply just visit the grounds for hours of peaceful walking. If you are venturing to Blenheim don’t forget to stop at Bladon where Winston Churchill is buried. If Downton Abbey is an interest of yours then do visit Highclere Castle. Bodleian Library - Oxford's Bodleian Library is one of the oldest public libraries in the world and possibly the most impressive you'll ever see. First opened to scholars in 1602, it incorporates an earlier library built by the University in the 15th century to house books donated by Humfrey, Duke of Gloucester. Since 1602 it has expanded to keep pace with the ever-growing accumulation of books, papers and other materials, but the core of the old buildings has remained intact. A regular programme of guided tours of the Old Bodleian Library allows visitors to see inside its historic rooms including the 15th-century Divinity School, medieval Duke Humfrey's Library, and the impressive Radcliffe Camera. Blenheim Palace - Blenheim Palace was built in the early 18th Century to celebrate victory over the French in the War of the Spanish Succession. The picture-perfect British stately home of Blenheim Palace sits among more than 2,000 acres of extraordinary landscaped Parkland and Formal Gardens. Enjoy the gardens, maze and a trip inside the palace. Tickets can be bought from the Old Swan & Minster Mill. Ashmolean Museum - Founded in 1683, The Ashmolean is the University of Oxford’s home to outstanding art and archaeology collections, it is not only Britain's oldest public museum, but possibly the oldest museum in the world. The Ashmolean’s collections are extraordinarily diverse, representing most of the world’s great civilisations, with objects dating from 8000 BC to the present day. In warmer weather visit the spectacular Rooftop Restaurant for breakfast, lunch or afternoon tea overlooking the rooftops and colleges of Oxford. Admission is free but please note it is closed on Mondays (unless a public holiday). Balliol College - Balliol is one of Oxford’s oldest and largest colleges, founded in 1263 it is the oldest academic institution in the English speaking world that is still on its original site. Balliol College welcomes visitors who wish to tour its buildings and gardens. Please call in advance to check there are no College events that require the college to be closed on 01865 277777 or enquire with Reception who will be happy to assist. Bampton - The ancient market town of Bampton lies in the south of the area, not far from the River Thames. Until about 1850 it stood in the centre of a large area of common land, hence its name 'Bampton in the Bush'. 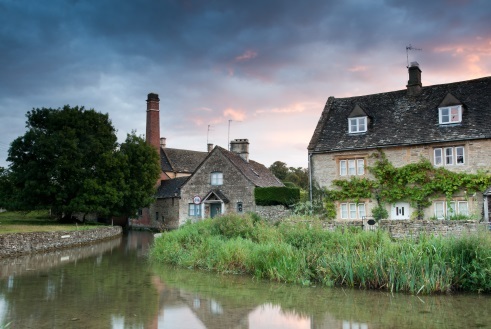 Bampton may seem oddly familiar to some first time visitors – it was used for filming the outdoor scenes in the popular TV drama ‘Downton Abbey’. Guided tours can be arranged for guests who wish to learn more about the history of this fascinating little village. If you intend on staying local then enjoy a walk to Swinbrook or Astall Leigh, not forgetting to stop off at The Maytime Inn before heading back. Walk from Burford - With its fantastic cathedral-like church and tales of ghosts and Levellers, through the little village of Fulbrook, with its ancient jousting field and notorious highwaymen (long-dead! ), to the plague village of Widford, where only the manor house and church remain. Then follow the river Windrush through Swinbrook, childhood home of the Mitford sisters and on to join the Roman Road of Akeman Street, before looping through pretty Shilton to arrive back at Burford in time for tea and scones. Total Distance: 9 miles‚ shorter version: 6 miles. Walk from Bourton-on-the-Water - Where the river flows through the village to the famous little villages of Lower Slaughter and Upper Slaughter, follow the River Eye (great for paddling) upstream and then over the wold into the former quarrying village of Naunton, with its rare historic dovecote. Then follow the River Windrush downstream, through surprisingly empty countryside, and past a farm that breeds the ancient Cotswold Lion (breed of sheep!) and back into Bourton, with its model village, Birdland and other family-friendly attractions. Walk out of charming town Winchcombe - Pausing to see the town stocks, up onto the wolds above to the ancient Long Barrow of Belas Knap, with its 5000 year old tombs and great views. Then continue on to the little hamlet of Charlton Abbots, with its tiny church, before heading downstream through woods and meadows towards Sudeley Castle, which was once owned by Henry VIII, and which was destroyed in the Civil War. From there it‚ is just a short walk back to Winchcombe. 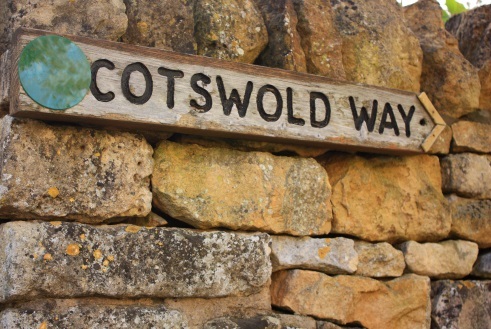 Cotswold Way National Trail: The Fosseway - A trail that can be walked as one continuous journey or in shorter sections. Far from the bustle of the crowds, the trail is a bucolic journey through the Cotswolds. The total journey is 102 miles from Chipping Campden to Bath along the Cotswold escarpment, but of course it is up to you how far you go! Walk & Trout Fishing - A glorious walk down the river Leach, perhaps the Cotswolds prettiest and least well-known rivers through the delightful villages of Eastleach and Southrop, before ending up in Lechlade at the famous Trout Fisheries for an afternoon/evening's fishing. Shop until you drop! Head out for a day of retail therapy with your nearest and dearest. There is a place to shop for everybody whether you are after high street brands or something really special, you will not be disappointed. Don't forget to stop by Reception for your VIP shopping card for an additional 10% saving when shopping at Bicester Village. 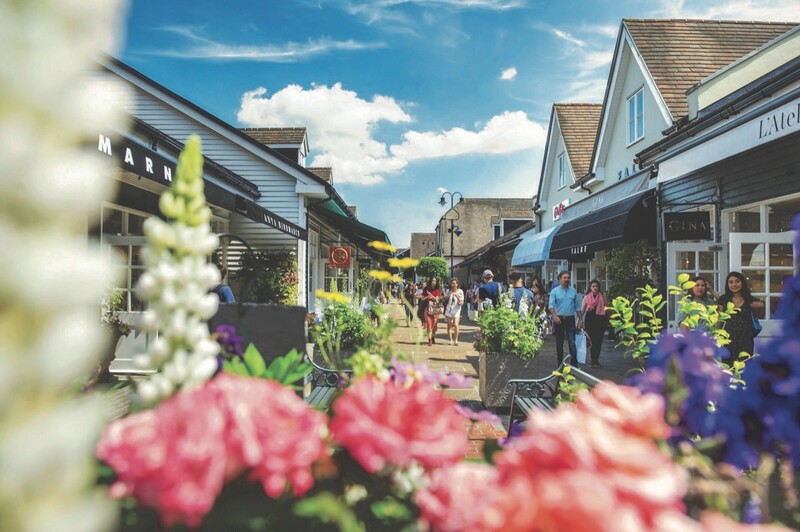 Bicester Village - Discover a world of luxury at Bicester Village, home to more than 160 boutiques of world-famous brands, each offering exceptional value with savings of up to 60% off recommended retail price all year round. The village offers instant tax refunds for visitors from outside the EU, multilingual hosts, hospitality services include hands-free shopping, valet parking, luggage drop and personal shopper. We are delighted to offer an additional 10% savings when shopping at Bicester Village, please ask at reception for your VIP invitation to Bicester Village. Oxford City - Oxford,The City of Dreaming Spires, is famous the world over for its University and place in history. For over 800 years, it has been a home to royalty and scholars, and since the 9th century an established town, although people are known to have lived in the area for thousands of years. Nowadays, the city is a bustling cosmopolitan town. Still with its ancient University, Oxford has a mix of old and modern, there is plenty for the tourist to do. Whether it’s visiting one of the many historic buildings, colleges or museums, going out for a drink or a meal, taking in a show or shopping till you drop, Oxford has it all. Cheltenham - Cheltenham is a Spa town in Gloucestershire, home to the renowned Cheltenham Festival, 4 days of horse jump racing culminating in the Gold Cup, held annually in March at Cheltenham Racecourse. It's also known for Regency buildings, including the Pittville Pump Room, a remnant of Cheltenham’s past as a spa town. There's fine art at The Wilson museum, and the Victorian Everyman Theatre has an ornate auditorium. Enjoy plenty of high street shopping or head to Montpellier where there are individually styled shops and boutiques. Gloucester Quays - Gloucester Quays Outlet have an outstanding mix of high street and designer labels at up to 70% off recommended retail prices. A great day out with friends with plenty of places to wine and dine. Swindon Designer Outlet - Swindon Designer Outlet sits on the edge of the picturesque county of Wiltshire and is the gateway to one of the world’s great travel destinations, the Cotswolds. The centre is surrounded by areas of outstanding natural beauty, quaint market towns and villages and internationally renowned destinations including Bath, Oxford and Stonehenge. With over 90 stores, they offer something for everyone ranging from iconic fashion brands like Polo Ralph Lauren, Phase Eight, Tommy Hilfiger and Hugo Boss to athletic labels, like Nike and high-street favourites, like Superdry and Fossil. Head out for a day of family fun! You will find so much to do and there is something suitable for all ages. Enjoy the outdoors and visit the Wildlife Park, don’t forget to stop by a pet’s corner to enjoy some of the favourite furry friends. Take a walk on the wild side and head to Crocodiles of the world for a close up with some of the UK’s largest caiman. Who needs the seaside when the Cotswold Water Park is right on our door step, just a 30 minute car ride, enjoy ice cream, water sports and sand castle building. 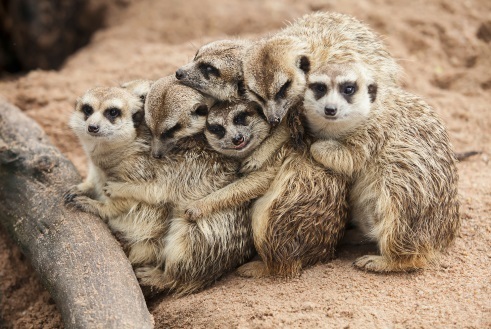 Cotswold Wildlife Park - A place that must be visited and it is perfect for all ages. With over 250 species of animals in beautiful landscaped parkland and gardens there is something for everyone to enjoy. There are daily animal talks and feeding experiences to enjoy along with the new adventure playground. Crocodiles of the World - This is a very exciting and different day out. There is no other place like it. See crocodiles in clear water habitats with incredible underwater viewing. Come face to face with some of the most feared predators on the planet – Nile crocodiles, American alligators, black caiman, and more! Daily Crocodile encounters and handling experiences with the friendly team. Cogges Manor Farm - Enjoy the historic farmyard, feed the animals, and explore the manor house and grounds. Explore the 13th century manor house, try on historical costumes in the dressing up room and see cooking demonstrations in the kitchen at weekends and bank holidays. There is a small inside play area and sand pit for the younger children to enjoy. Adam's Farm - There are over 50 breeds of animal and the farm is open daily from February through to December. There are demonstrations each day, a farm park safari, along with animal petting and feeding. On the farm you will find a play area, maze, country walks and a farm shop. Cotswold Water Park & Beach - Cotswold Country Park and Beach comprises two lakes formed around forty years ago through gravel extraction. The lakes are filled by the natural groundwater, which means they are very clean. In fact, you can usually see the bottom of the lake from the viewing gallery on the Millennium Building! In the winter, although many of the water based facilities close, the country park is still a great place to come for a beautiful lakeside walk and of course, have a hot chocolate afterwards. However, this is a rural country park with some uneven surfaces, so please take care within the park and surrounding footpaths.